Our specialized woven paper honeycomb pads allow for the maximum absorption of water for the best possible humidity output in the industry. Up to 150% more strength. Traps impurities in the water. Specifically designed for use with your humidifier. Aluminum reinforcement for longer filter wick life. Up to 150% more strength Traps impurities in the water Specifically designed for use with your humidifier Aluminum reinforcement for longer filter wick life. Antimicrobial. 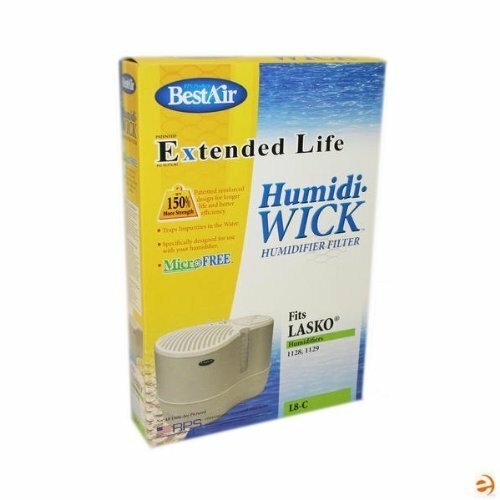 Wick Filter Fits: Lasko Natural Cascade 1128, 1129 (THF8). Aluminum reinforcement for longer filter wick life. If you have any questions about this product by RPS PRODUCTS, contact us by completing and submitting the form below. If you are looking for a specif part number, please include it with your message.